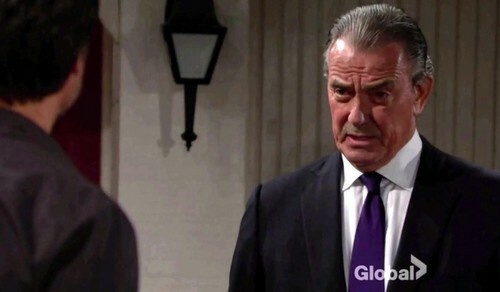 The Young and the Restless spoilers tease that Victor’s (Eric Braeden) dirty dealings with Kevin (Greg Rikaart) are about to be exposed. Chloe’s (Elizabeth Hendrickson) connection to Kevin and her perceived link to Adam’s (Justin Hartley) death may also not be far behind. As Y&R viewers recall, Rikaart briefly returned to Y&R this fall after having gone off regular contract status. Victor called in a favor in response for him having allowed Chloe to escape to Portland, Oregon. The Moustache could have turned Hendrickson’s character into the authorities, but may have faced implication in her crimes himself. So, Victor was acting out of self-interest, as always, rather than generosity. 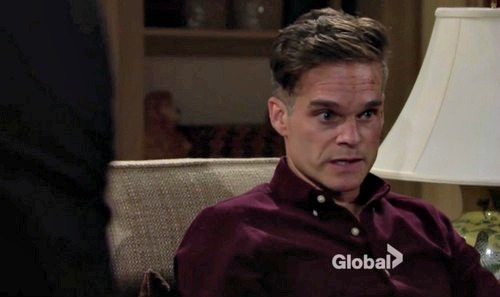 Kevin was tasked with stealing $500 million from Nick (Joshua Morrow), though Victor termed the request a return of funds that his son never should have had. Rikaart’s character successfully reallocated the entire balance of Nick’s checking account to one of Victor’s apparently untraceable digital destinations and continued working toward accessing the remaining balance when he returned to the west coast. During this period Nick determined that his father was the culprit in the checking account theft and made an interesting decision in response. He chose to donate the entire half-billion dollar amount to charity that he’d been awarded in a legal settlement from Victor a handful of years ago. Nick later told his dad that a significant portion of his overall donation was being given to orphan organizations. The Black Knight appreciated the gesture, but hasn’t since changed his feelings about Nick. Fallout will naturally follow when Victor’s deal with Kevin is exposed. 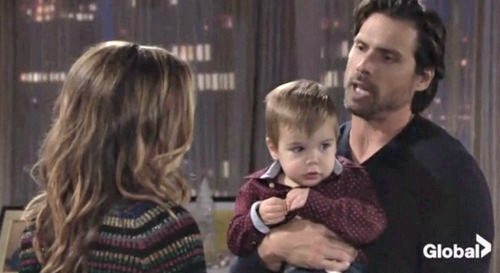 Depending upon how Kevin reacts, or if he faces charges, Chloe could easily be drawn back to Genoa City. While she’s believed to be dead, her husband’s potential long-term incarceration is a development that would cause Chloe to drop her deceased cover. And then there’s the Adam Newman issue as well. How would that character be written back? Well, let’s follow the plot dots. Nick and Victor go at it over the revealed theft scheme. Victor loses his cool and intentionally blurts out that Christian (Jude and Ozzy McGuigen) is Adam’s biological son, something he used to threaten Chelsea (Melissa Claire Egan) with recently. The DNA sample that the GC Police Department’s CSI division located and retained, that was confirmed as Adam’s, would then be used to verify Christian’s paternity. News of this development would make its way to the undead Adam, who’s been staying just outside GC in order to protect his family from further chaos. He decided that choice was best at the time, but will feel compelled to return and raise his other son. Whether Michael Muhney fills this role also remains a possibility.